Shrill is sticking around. Hulu just announced they’re renewing the TV show for a second season. 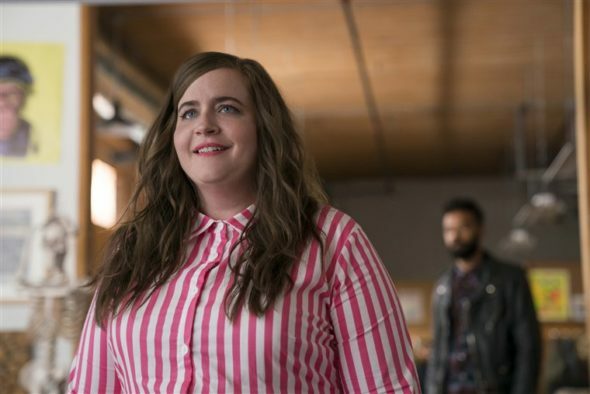 Based on the book by Lindy West, the comedy series stars Aidy Bryant as Annie, a young woman who feels a deep desire to change her life — not her physique. The cast also includes Lolly Adefope, Luka Jones, Ian Owens, John Cameron Mitchell, Dana Millican, Sean Tarjyoto, Daniel Stern, and Julia Sweeney. What do you think? Have you seen Shrill? Will you watch season two? I watched the first season and I liked it a lot. I am glad it was renewed for season 2.